I've just launched a kickstarter for a print-on-demand version of Soth with upgraded art. After less than a day, we're nearly at our goal (to pay the game's artists at their full commercial rate). This is not a second edition (or even a 1.5 edition): the gameplay will be the same. However, the rules will get a few minor clarifications and (depending on funding levels) the handouts will receive some professional graphic design. 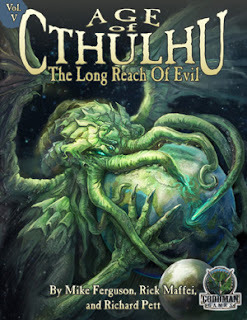 I'm pretty excited about a lot of the supplements and adventures in one of the latest Bundles of Holding. It's the 'Old School Revival - Revived' bundle, designed to help you run D&D-esque adventures. 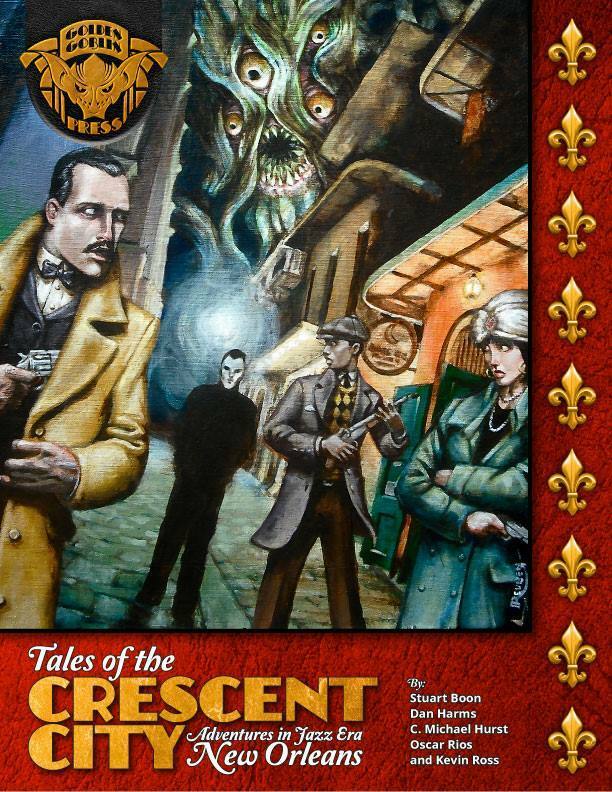 I've only had a chance to skim-read these adventures and game systems but I'm very impressed with what I've read. 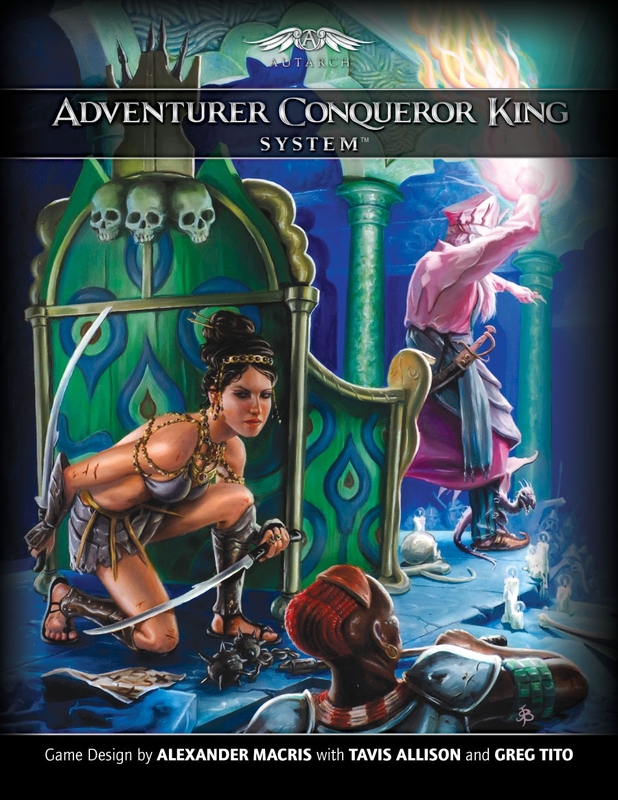 This adventure by James Raggi promises to flip the normal 'adventures enter a dungeon and explore deeper' dynamic. I suspect that run with a consideration for limited light sources and movement, it would be nightmarish fun. 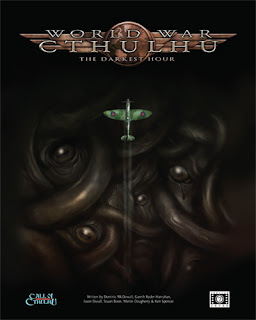 Maybe Torchbearer would be the meanest system to run it in, but I'm also tempted by something like Beyond The Wall--where the contrast between YA protagonists and shambling pursuing horror would be really striking. I also really like lots of the seemly incidental material in the dungeon. This place is dangerous and rewarding, quite apart from the central threat. 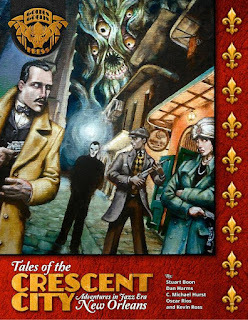 There's about seven brilliant ideas in this adventure by James Raggi. In fact, I'm going to count them: ... 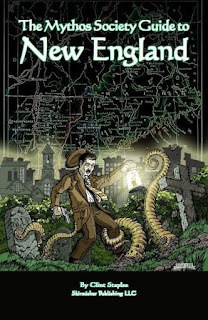 There are nine ideas I'd describe as brilliant (including a meaty and central hook of the adventure: a nasty version of body-snatching), and many other ideas that could be brilliant depending on your personal taste. 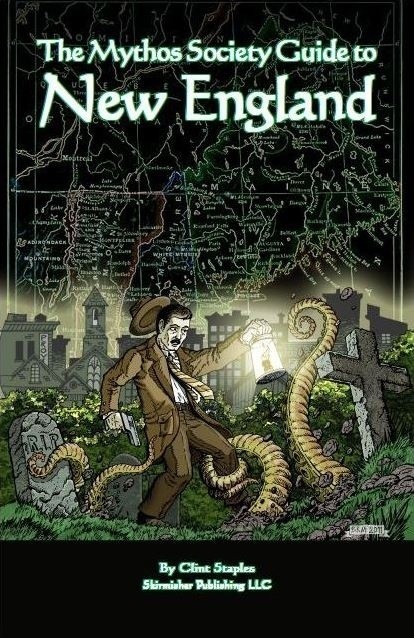 This adventure is both a location and a resource for creating unnerving incidents. It would play really well as part of an ongoing campaign but it's also incredibly mean. 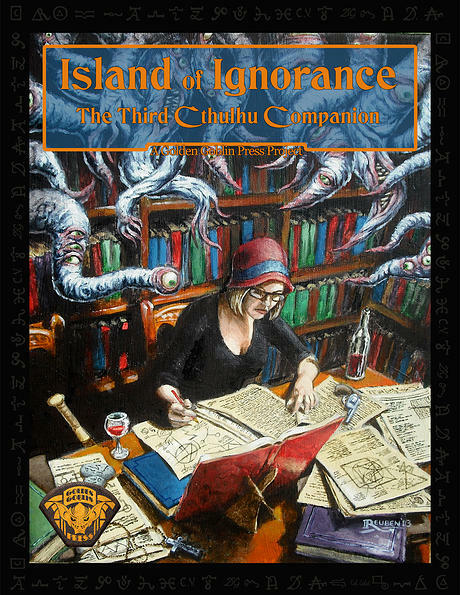 You'd need either to have a totally accurate and insightful read of your gaming group's preferences or a conversation where you asked them if they were interested in introducing a high-horror, high-doom quotient into your game. One reviewer accurately described it as the nuclear option: once you introduce this module, you are changing or condemning at least one of the PCs. 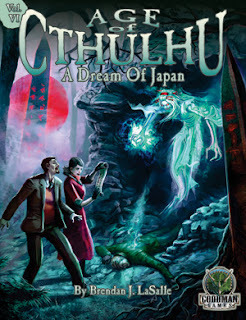 In some ways it reminds me of the high-doom elements of the Call of Cthulhu moduel, A Dream of Japan. Note: The author of Vornheim, Zak S, was kind enough to give me permission to use his elegant and quick technique for creating random floorplans in Soth. 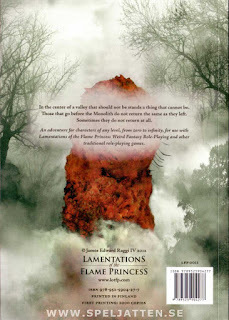 In a wilderness or dungeon, the party’s adventure during any given session is defined by where they are geographically–in a volcano, in the southwest corner of a maze, at the bottom of a pit, etc. In a city, this is less important, movement is freer, easier and more certain than in a dungeon and distances are shorter than in a wilderness. 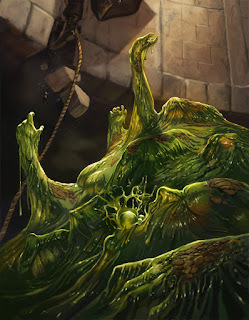 In a city, the party’s adventure is defined by where they are in a chain of consequences. I'd love to combine this with Blades in the Dark and see what sticks together. I've wanted to read this for ages. I've been told ACKs is amazing at helping the group create a completely logical fantasy economy that facilitates adventurers moving from nomadic looters to aristocratic managers of a stronghold or realm. 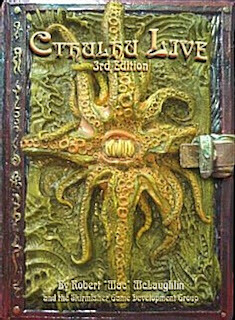 The heart of this seems to be in Chapter 7: Campaigns and Chapter 10: Secrets, which (on a skim read) appears to be an incredibly useful resource for constructing a campaign setting, the regions inside it, the starting city, and dungeons. ACKS also has two neat tables in its combat system: for moral and permanent wounds, and for what happens if someone tries to revive you with magic. how a system compares to all the editions of D&D I'm familiar with (which is everything except 5th Edition). I think the character or uniqueness of each system will have to reveal themselves in play. I've played Into The Odd, which was fantastic at getting me into an old-school mindset. But figuring out the specifics of Lamentations of the Flame Princess, ACKS, Beyond The Wall, Labyrinth Lord, and Swords and Wizardry will take a lot more time than I have at the moment. 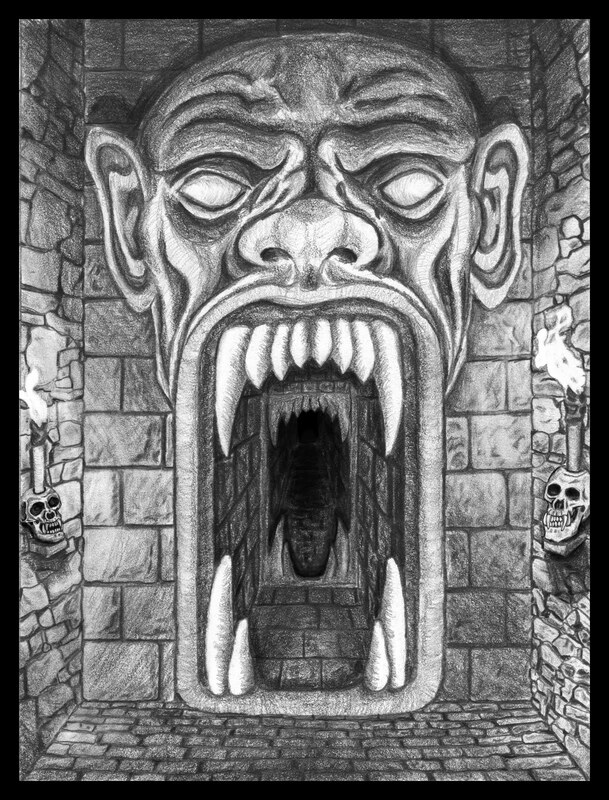 This is a mega-dungeon by Michael Curtis. 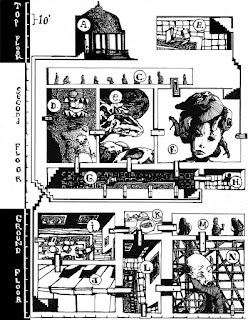 Six levels of low to moderate dungeon-ecological-logic, which Curtis describes as perfect for a weekend gaming marathon. It's presented as a toolbox where the elements of the dungeon can be easily customised and modified by a GM. 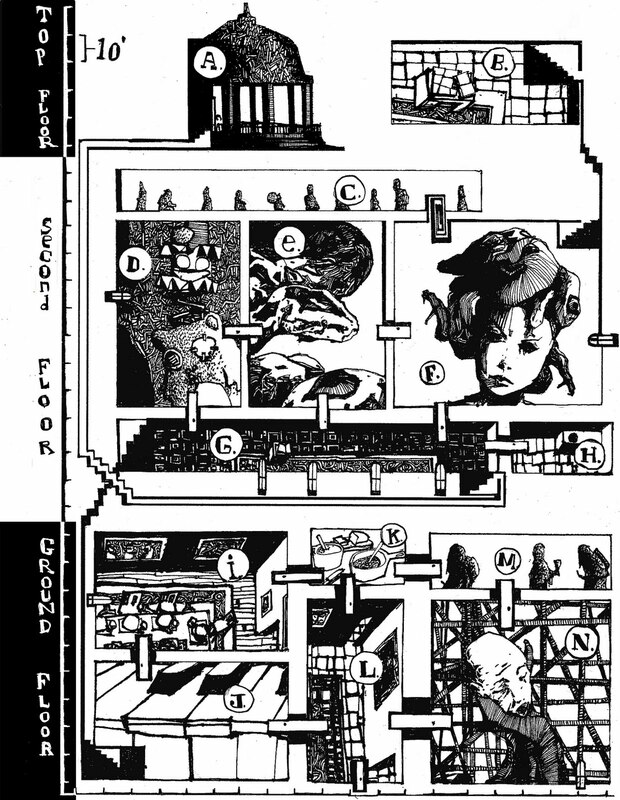 It also takes a lot of inspiration from the One Page Dungeon competition about how to compress a dungeon down to its essentials. In the case of Stonehell, each part of the dungeon in a two-page spread. I was only able to skim this but it looks totally fit for purpose to me. 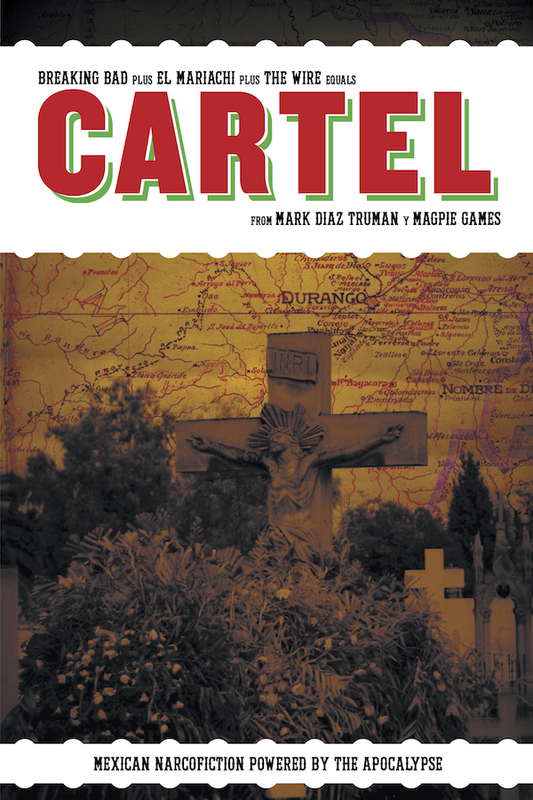 I ran Cartel last night, a game for telling crime soap operas in the spirit of The Sopranos, Breaking Bad, and The Wire. It's set inside the world of Mexican drug cartels. It was a really successful session -- successful enough that what I thought might be a one-shot is going to turn into at least a two session thing. By doing all of this, I created a list of bangs I could use if I needed to. I also created a list of bangs from the crime fiction I've been reading and watching (The Power of the Dog, Savages, Traffic). Stuff like a drug shipment being observed by the DEA, a money mule taking off with cash you paid them in advance. That gave me a ready-made supply of bangs to introduce into the game if I needed them. When we sat down, I told the players that this is a crime soap opera, in the vein of The Sopranos, Breaking Bad, and The Wire. You play the criminals and your lives will inherently be difficult, with competing demands from family, the cartel, and law enforcement. As a soap opera, you should not play safe. Each playbook has sources of trouble embedded into it: you'll be expected to embrace that trouble. Then I took a trick from how I like to run Monsterhearts at conventions. During character creation (especially when we're figuring out the histories between characters), I find the moments of crisis. Then I bring them up in play immediately. In Monsterhearts' supernatural romance, that's stuff like being seen watching a neighbour through a window or discovered over a dead body. 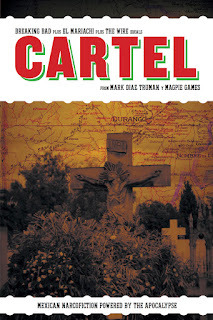 In Cartel, the histories are filled with situations like starting to deal with another criminal organisation, forming a plan to make some real money, and suspecting someone is undercover. Anyway, turning the histories into active bits of the game's opening are a great creative support for those initial scenes where everyone's finding their feet and the fiction's still coming alive. There are also a few options that aren't so appropriate for openings, but holding onto them for later created explosive scenes. * Diego is high on pain-killers after getting shot in the meth lab and from injuring himself racing to get a gas mask when Hector created a toxic gas out of some leaking chemical. That's the worst time for him to meet his cousin Jolanda who wants him out of the business. Slapping, bribery and public screaming ensued in a crowded cafe while cartel enforcers watched the whole thing. Of course, some of the playbooks have beginning of session moves that destabilise things too. The boss finds out if they're in control of their territory or whether there's trouble brewing. In our session, we had the meth lab break down, the cop fail to find out that the police are moving in on the cartel, and the cartel boss lose control of his territory which triggered a robbery. * The basic concept of the playbook: if you've chosen it, you'll want to deal with the conflicts inherent in it. A halcon may have to deal with someone short-counting them, a sicario will have to enforce the jefe's will. * the NPCs: most of the playbooks have some great NPCs you can enmesh into problematic situations. Making a note of those and then either bringing them into the game or having them make conflict-generating off-screen actions will be essential. *The hitman had followed the cook who's been kidnapped by enforcers from a rival cartel. He's about to shoot his way into a rescue. * The cartel boss had just learned (from the dirty cop) that his wife was going to inform on him, just as she had seduced one of his enforcers to let her into the boss' office to search for information. How would you prep for a game of Cartel or for a convention session of an Apocalypse World hack? I've been interested in running The Warren (formerly Lapins and Lairs) for a couple of years. It's a game inspired by Watership Down and other 'intelligent rabbit' stories. Hopefully I'll get to take it for a spin tonight. 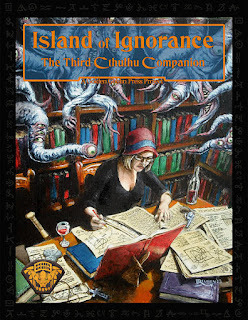 I've already had a quick read through it and it seemed well organised and logical. Now I'm going to dig a bit deeper. I'll post comments as I go, reflecting on the game. I'll link, here, to any actual play write-ups or reviews that I do. The Warren is being kickstarted right now. We played Psi*Run last night (I was GMing). You play ‘Runners’: amnesiacs with super-powers. The game begins with you escaping … and you’re being chased by a shadowy organisation (the ‘Chasers’). The game has a tension between whether the Chasers will capture you or whether you’ll answer enough questions about your past to be able to escape them. The players all commented on Psi*Run’s brutal, brilliant resolution system. One player said it gave him the opportunity to fail in five different ways on the same roll. Another player said it was so good, it should be in many many more games: he saw it as a worker-placement mechanic. I’m a huge fan of modern, urban chases, so in terms of Colour this game was pretty easy to GM. I applied a lot of setting details from my recent trip to Auckland: a crash on the beach near the Mission Bay clubbing district, nosy beach-living neighbours, a guard dog from the awesome B&B we stayed at (who was turned into a cuddly zombie by the misapplication of empathic projection powers). Runners were separated from each other. One of them turned a few drinking teenagers into a kill-squad through switching his danger sense from passive to active mode. This is a game I feel like I should be able to GM well, but I need to apply a few techniques to in order to make it easy and fun for me. Throughout it, though I felt like I needed to create more sources of GM antagonism in the story. Without constant tension, there are few reasons for the players to make dice rolls (which create jeopardy and advance the game). Some of the rolls I called for felt a bit arbitrary to me. Another thing I’d do differently next time: each Runner has questions they need to answer about themselves. I should've drawn on those questions when they were read out for the first time, writing them down as potential situations to throw the Runners into. If a Runner establishes a barricade (as in one of the game’s examples) does it have any effect when the Chasers reach it? The Chasers’ success in bypassing the barricade depends on what d6 the Runner puts into 'Chase' rather than the Runner’s initial success with the goal of ‘Create a barricade’, right? How can one character help another? Has anyone give any thought as to how you’d play a sequel game where the Runners turn the tables on the Chasers? Would it just be the same rules? Would the ‘Chase’ part of resolution system still apply?